The Army is working on a revival of a World War II-era service uniform, and prototypes of the proposed “pinks and greens” made their debut on the conference floor of the annual AUSA meeting in Washington, D.C.
A handful of soldiers are roaming around the conference in variations of the iconic olive uniform, testing out skirts vs. pants and folding caps vs. service caps. “We want you to go check them out, ask them questions, and let us know what you think,” Sergeant Major of the Army Dan Dailey told soldiers on Tuesday. 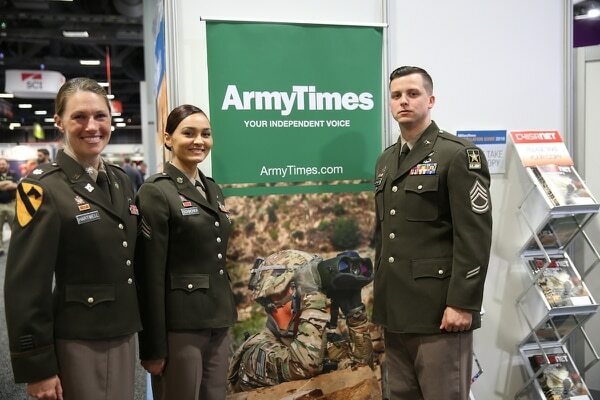 More than 70 percent of the soldiers who responded to an exclusive Army Times survey like and support the return of the World War II “pinks and greens” uniform. Dailey has been working on a plan to field the uniform all year, and he brought the proposal before the uniform board this summer, he told Army Times in late September. 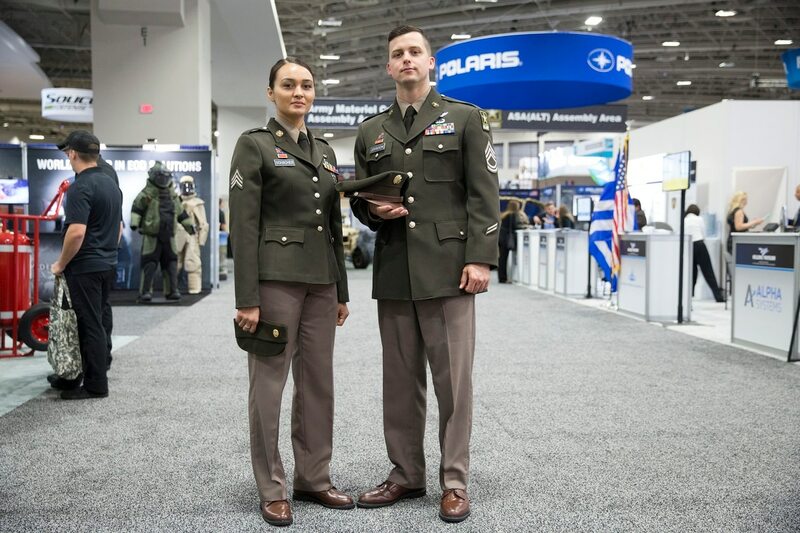 The “pinks and greens” would be an alternative to the blue Army Service Uniform for official events, similar to the Marine Corps‘ green service uniform.